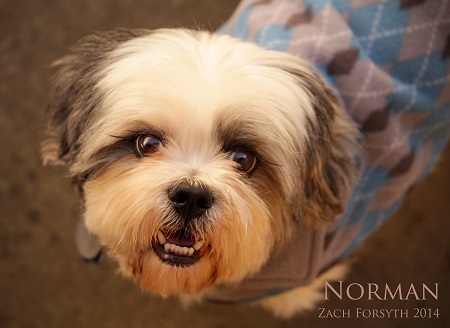 Hey there guys and gals, I’m Norman, but my closest friends call me Normy. 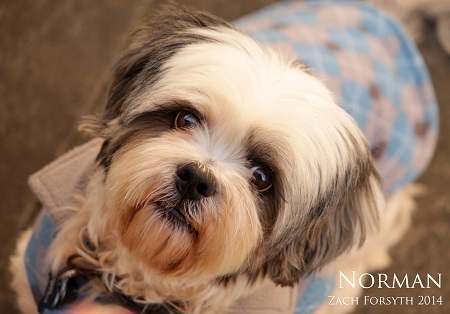 I’m a seven years young Lhasa Apso and I’m just about as loyal as they come in this doggy dog world. I’m a pup who is truly all about his ‘œperson’, and guess what, it’s your lucky day! I have room in this big ol’ heart for you now! Wanna go for a ride in the car? I call shotgun! Grab some ice cream? I’ll bring the sprinkles! Get our hair done? I’ll perch happily on your lap and consult on all your best shades. Prefer more outdoorsy things? Cool, I’ll trot alongside you all up and down those Sandy River trails! Wanna lay low today? No problem, I make an excellent foot warmer at the end of the bed. I know all my basic commands and will sometimes even hop up and turn around to perform for a treat and some belly rubs! Really, I just wanna be by your side. I am microchipped, fixed, and have all my vaccinations. So, what do you think, got a little room in your life for a new right hand man? Let’s meet! Just fill out an application at pixieproject.org so we can get acquainted. My adoption fee is $220.